This instant-mixing powder contains an optimal blend of the essential amino acids leucine, isoleucine, and valine. They occur naturally in protein which helps to build and repair new muscle1 — helping your recovery between each training session. These essential amino acids can’t be produced by your body, so they must come from your diet — making this instantised powder super-convenient as you can simply add to a shake or mix up alone, with no meal prep required. Whatever your goals, whether you’re trying to gain muscle, tone-up, or lose weight, this is easy to make part of your daily routine and comes in refreshing flavours such as Strawberry Lime and Watermelon. 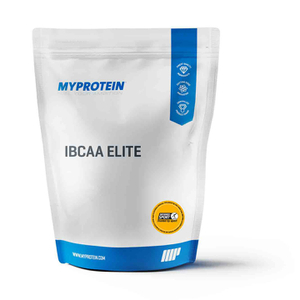 When to take Essential iBCAA 2:1:1? We recommend taking a small scoop (5g) 2-4 times a day for best results — enjoy one of our fruity flavours on its own, or add to a protein shake. It’s ideal to have before, during, or after exercise, so make sure you’re prepped for your next gym session. 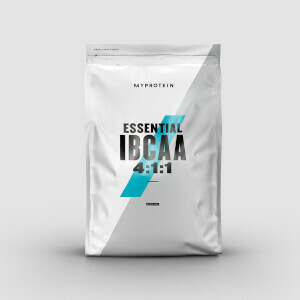 What does Essential iBCAA 2:1:1 work well with? Our blend is great for getting the amino acids you need. But, to help hit daily protein requirements, add a scoop to our instantised Calcium Caseinate Protein, for a low-fat shake that’s easy-to-mix and delivers 27g of protein. For allergens, see ingredients listed in bold. Made in a facility that also handles Milk, Egg, Gluten and products thereof. 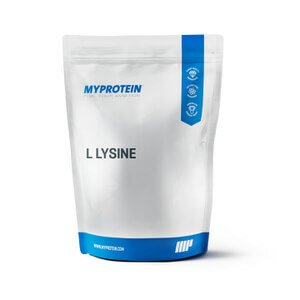 Unflavoured: BCAA 2:1:1 (Leucine:Isoleucine:Valine) (99%), Emulsifier (Soy Lecithin). 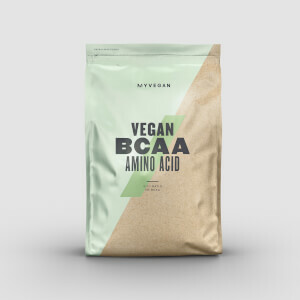 As a bodybuilder who looks to progress constantly I have discovered that BCAA's are fundamental and are now a foundation supplement in my stack. A good protein, BCAA's and a good diet and you are sorted. The really help reduce DOMS after a workout! As time progresses you will notice a difference over a few weeks of supplementing with them. This type also mixes really well in water and is easy to take and add to protein shakes. Don't try lemon and lime taste because it's very very bad with lot of sweateners. The taste of these bcaa's is like to drink parfume. I use this product whenever I think I need it in my pre or post workout. This is especially very helpful in the cut, otherwise you probably don't really need it. I can say that I really like lemon and lime, 4.5/5 stars! I use during cardio, lifting & especially during long bike rides. About 8g protein per 10g serving with 300ml water. I absolutely love the Blue Raspberry flavour (lots don't it seems) reminds me of Parma violets. Now have a new order of cola, tastes like flat cola and very refreshing if mixed with ice cold water. Tried the lime flavoured, first it was super sweet, but now I feel like I could drink it limitless, great refresher during workout, love it! I got blue raspberry flavor. taste is little bit bad can't drink more than 500ml once. Key supplement for faster recovery. It mixes better than non-instant version of BCAA. Berry Blast flavor is only sweet. If it was more sour, It would taste better. I was sceptical about ordering some at first after reading reviews about the taste but I bit the bullet whilst there was 30% off and decided to try for myself. I ordered the Blue Raspberry and it tastes great! No bitter taste as all, easy to drink during your workout and mixes well. Would definitely recommend this flavour!